Over 500 new hotels will be seeing the light in the Middle East and Africa. They will be boosting regional supply with additional 150,000 rooms, according to STR Global research. 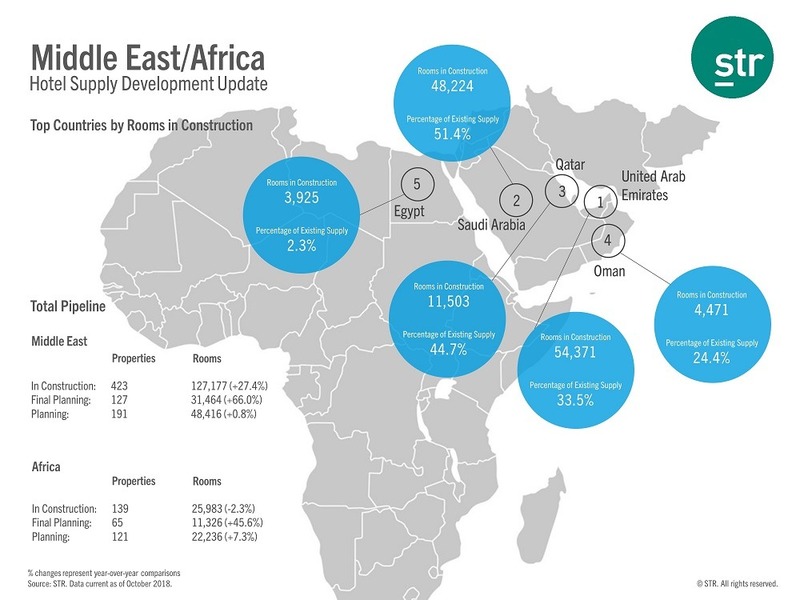 The Middle East room construction total represented a 27 percent increase compared with October 2017, while the Africa room construction total represented a two percent decrease year over year. 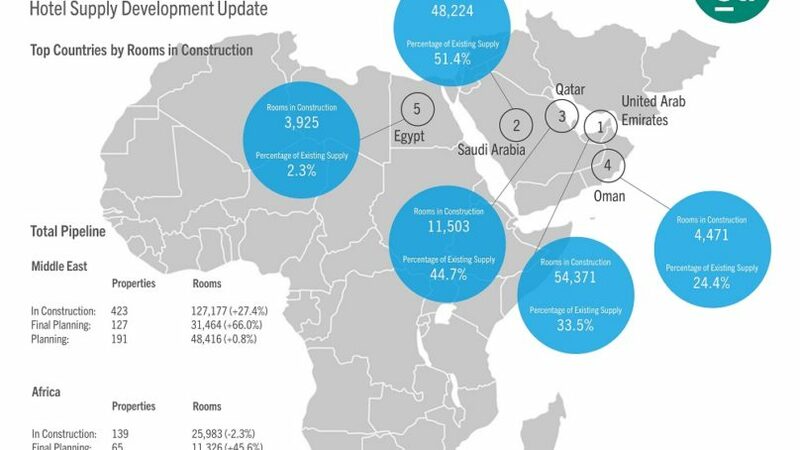 In total, 423 new hotels are under construction in the Middle East, and are expected to add over 127,000 rooms to the region’s inventory. 127 hotels are in the final planning, and are anticipated to add over 31,400 rooms, while 191 are in the planning phase and will bring 48,400 rooms. In the African market, 139 hotels are under construction, and will bring almost 26,000 new rooms, while 186 projects are in the final planning and planning phases, and will add 33,500 rooms to the region’s offering. According to STR Global, the UAE is leading in terms of supply with over 54,000 rooms (33.5 percent of existing supply). It is followed by Saudi Arabia which has over 48,000 rooms (51.4 percent), and then comes Qatar with 11,500 rooms (44.7 percent).